I promised you guys details of GCOCL plates that I hauled last week and here is Part I. I believe there are about 17 GCOCL plates all together. 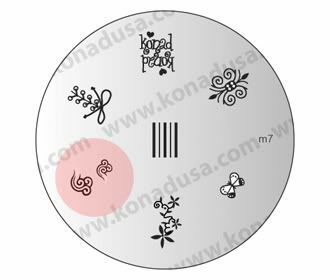 I've quickly compared a few similar designs to Konad plates to show similarities. 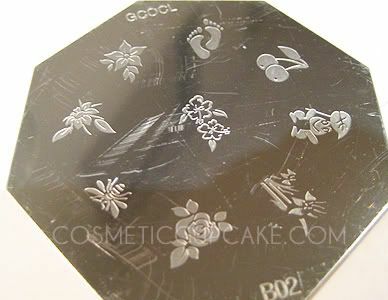 This plate contains 8 flowers and a heart image with stars. As featured in my last NOTD! 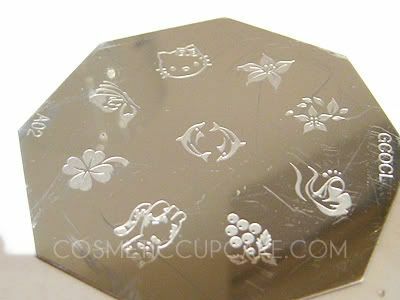 This plate contains Hello Kitty; grapes; cat; 4 leaf clover; butterfly; and flowers. 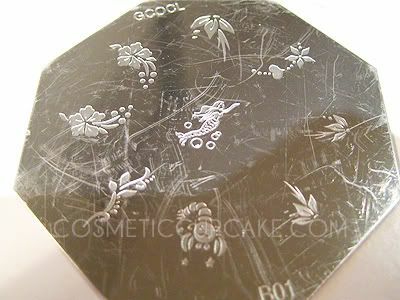 The 4 leaf clover and grapes are very similar to Konad plates m22 and m37. 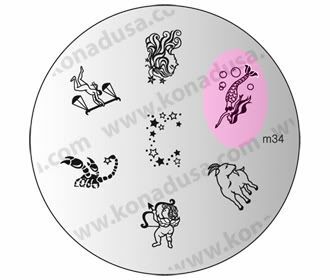 This plate contains a mermaid (similar to Konad plate m34); a zodiac crab (?) and assorted flowers. B02 contains a cherry; a frog; a bee (or other insect); feet, and flowers. 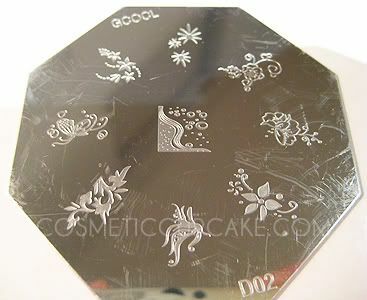 C01 contains an assortment of flowers and a cloud design similar to Konad plate m7. 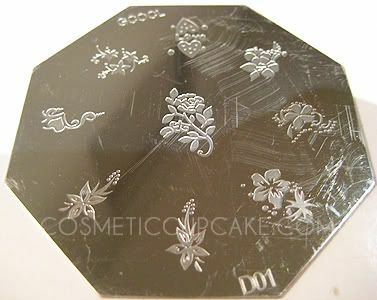 D01 contains 2 heart designs and an assortment of different sized flowers. 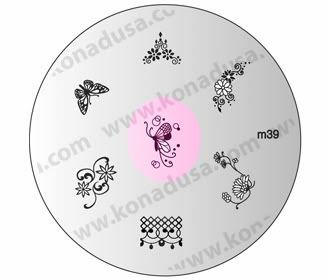 D02 contains a full finger design with bubbles; flowers and a butterfly design similar to Konad plate m39. Part II coming up in the next few days! I like your blog that you have here! I absolutely MUST have that hello kitty plate! 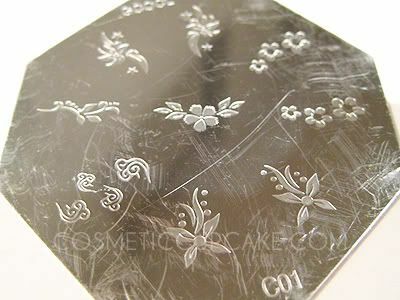 Do the GCOCL plates do the same job at the Konad ones? I've been wanting to purchase some for the longest time ever! I love your blog! Thanks for doing this it was so hard to find good comparisons.. you're awesome. @susies1955: Glad you like the pics Susie! @Alice: Welcome Alice! Thankyou for stopping by and taking the time to comment, I appreciate it! 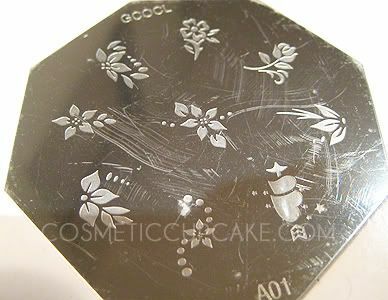 I haven't had time to REALLY play around with my GCOCL plates yet but I'm pretty sure they do the exact same job. Definitely get them if you have the chance!! hello! i would love to know where can i get the hello kitty plate! i've been trying to get it but since its not konad well i dont know where i can get it! please write back! btw love ur stile!